We have this form on every page of our artists. We have a booking agency. Therefore it is very important this issue could be solved as quick as possible. 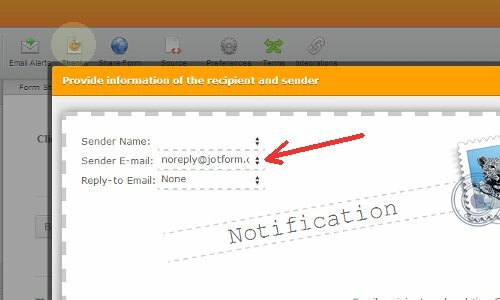 Is it possible to test a form without affecting the counting off from 100 forms per month(basic account)? I have tested your form made a couple of submissions as tests. Have youreceived them? I have since removed your address from there and that should fix the issue. To avoid this in the future, please whitelist our Jotmails ip addresses or ask your email service provider to do it for you. Thanks and let us know if we can further assist you! New response receivedThank you for you quick answer. I received the tests. It it possible that the 10 or so tests I made already today won't count for this month 100? I have reset your SSL count to make up for the tests. New response receivedThank you very very much for your fast support. I've never been helped so good and so quick ! We think about it to go to a premium account. It is safe to use non-SSL forms for generic content, but if you would like to accept some sensitive data like commercial information, credit cards, medical information and so forth, it is strongly recommended to use SSL. You are right, the SSL encryption keeps the data completely untouchable for hackers. Same here, my account is doing the same, could you please lok into it? I am not receiving emails notifications.